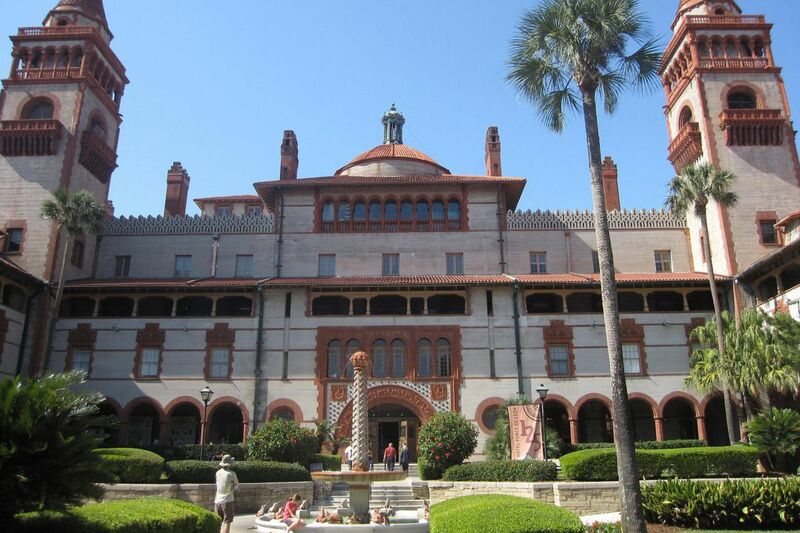 Hotel Ponce de Leon, shown in 2013 is the centerpiece of Flagler College. a St. Augustine, Fla., institution that uses PFM’s new financial planning software that has been customized for higher education. There was a time when executives at colleges and universities didn't have to sweat every decision that affected the long-term financial health of their institutions. "Everybody is pausing for these things today. They might not have in better years. These decisions are bigger because the margin for error is much smaller," said Frank Candio, a vice president at PFM Solutions LLC, a Philadelphia company that is rolling out a salve for more difficult times: a new financial planning program for higher education, public schools, and local governments. Executives at several universities said PFM's new Whitebirch multi-year planning software, which it bought in late 2015, represents a big leap over the Microsoft Excel-based system that PFM, a major provider of consulting, asset management, and financial advice to governments and nonprofits, provided to clients. "It's way more robust than Excel, which is what most schools use right now. That's why we like it. It's more comprehensive," said Wendy S. Starner, associate vice president for finance and enterprise risk manager at Franklin and Marshall College in Lancaster. It arrives at a time when schools need a better handle on everything, not just the everyday business of teaching, but also the cost of buildings and debt ratios, for example, Starner said. While wealthy and selective colleges such as F&M have ample financial breathing room, much of the higher-education sector has a harder time getting by. Last month, Moody's revised its 2018 outlook on higher education to negative from stable, predicting that aggregate annual operating revenue growth will come in at 3.5 percent while expenses will increase by 4 percent. In response, 15 percent of colleges and universities will be forced to cut costs, the ratings agency said. "Budgeting one year at a time doesn't show structural problems," said Daniel Berger, director of application development at PFM. "But longer-term thinking gets really complex in Excel." That's because Excel requires many links and formulas, and the more there are, the more likely it is that one of them will get broken as the Excel tool is used in various departments of a college. "With Future Perfect, we had to spend more time in Excel spreadsheets. We had to toggle back and forth between spreadsheets," said David Carson, vice president of business services and chief financial officer at Flagler College in St. Augustine, Fla. Creating a PowerPoint to present to the board of directors took multiple steps. With Whitebirch, "we can push a button and build the PowerPoint presentation," Carson said. That's very helpful when presenting to different groups within the college, Carson said. "I'll sit in a room with, say, the faculty senate. The faculty senate will say, 'Well, why can't you give us 8 percent raises?' Now what I do is I log in to Whitebirch and I put in a salary increase of 8 percent and I show them what happens to us from a financial perspective," Carson said. "It's a lot easier than with Excel spreadsheets." "Our business of higher ed is very much focused on enrollment," said Joe Smith, associate vice president for finance at Gonzaga University in Spokane, Wash., a PFM client for more than 10 years. In his job, Smith has to keep track of the number of students, the rate they pay, how much financial aid they get, whether they live in a dorm and have a meal plan, and how many will still be around in the following year. "You're going to have less tuition revenue, you're going to have less financial aid, you're going to have less housing revenue, you're going to have less housing cost of goods sold, you may or may not have less expenses for, say, faculty and teaching and instruction cost," Smith said. "It's been a really helpful tool to tell our story. We have to tell our story to internal populations, like our administration, our president, our board. We tell our story to credit rating agencies," Smith said. "We're rated by Moody's, Fitch, S&P, and they need to know how we're thinking about financial matters. It's a good way to tell our story there."